It all went down well at the Google I/O event 2016 which initiated the launch of many awesome devices following the likes of allo, duo, Google Home and more, but as it stands, we still have another bumped package by the guys at Google, ara. Project Ara is the codename for an initiative that aims to develop an open hardware platform for creating highly modular smartphones. The platform will include a structural frame or endoskeleton that holds smartphone modules of the owner’s choice, such as a display, camera or an extra battery. 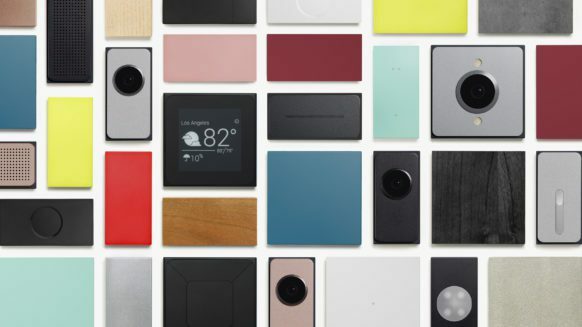 It would allow users to swap out malfunctioning modules or upgrade individual modules as innovations emerge, providing longer lifetime cycles for the handset, and potentially reducing electronic waste.Project Ara smartphone is scheduled to begin pilot testing in the United States in 2016 with a target bill of materials cost of $50 for a basic grey phone. The ara is the best definition for a modular smartphone which comes with awesome features and packages. Just like your rubik cube, you can plug any module into spot, as long as they match. There have been a lot of changes in the mobile industry following the ground breaking records we get to see on a daily basis, it is becoming obvious that we should always expect the unexpected. You can read more about the ara by clicking here.